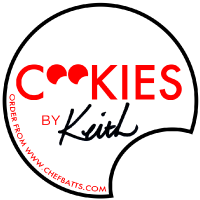 Cookies by Keith 1/2 oz. scooped Individually wrapped. PLACE DESIRED COOKIE FLAVOR IN COMMENTS.